Here's the follow up to yesterday's unusual photo of the front of this house. 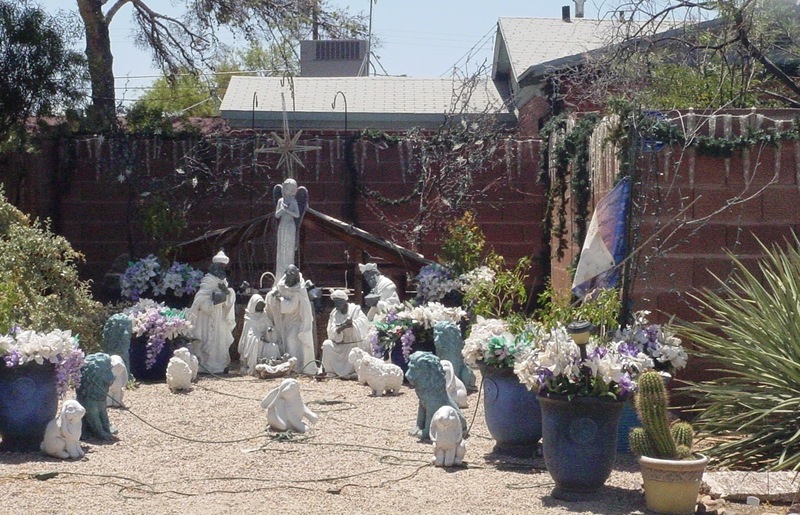 This is the side yard and yes, this seems to be a nativity of sorts - with black statuary wearing white robes. And the animals include sheep, lions, and rabbits. I look forward to comments on this one! I know exactly where this is! My mom lives 2 blocks north of this house in the Blenman-Elm neighborhood. They have added on since I saw it last summer. I don't remember the icicles but I sure do remember the nativity. There is some funky yard art in that area.